THE most wonderful evening. Well done – you can be very, very proud of what you, and your team, have done. Great jury – just the right touch of challenge and encouragement. I had no idea it was going to be so good. WOW! We are please to announce the winner of this year’s PHOTOGRAPHY competition is “Beach Bunny ” by Jane Barnes – congratulations. 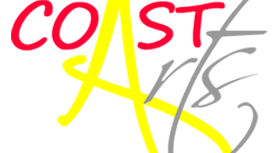 There’s only a few days until this year’s Coast Arts 2015 Festival gets underway. Don’t put off booking your tickets until it’s too late – they’re selling fast so get in while you can. Cromer and Sheringham Art and Literary Festival starts 23th October The waiting is over and we’re set to go.